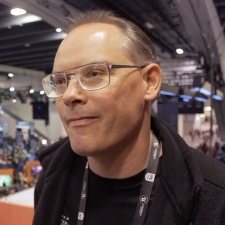 The CEO of Epic Games Tim Sweeney (pictured) has said that the choice of whether to have a game exclusive to its new storefront is up to developers and publishers. Speaking on Twitter (below), Sweeney said there have been internal discussions on the topic following 4A and Deep Silver's Metro Exodus only being available on the Epic Games Store despite being up for pre-order on Steam for some time. At GDC, Steve Allison, who heads up the Epic Games Store, said the company "didn't want to do that ever again," but now Sweeney says ultimately, it's up to the people making and publishing the games, the exec says. This follows the latest entry in Gearbox and 2K's Borderlands franchise being only available on the Epic storefront for six months after its September 13th launch.